The Grizzlies celebrate a second-period goal Monday night at The Q Centre in Colwood. The two Victoria Grizzlies with the most Game 7 experience showed everyone how it’s done Monday night in front of 1,992 boisterous fans at The Q Centre. And now the Grizzlies have a ticket to the B.C. Hockey League’s final four. Third-year Grizzlies Carter Berger and Marty Westhaver struck for goals three minutes apart in the first period to pave the way to a 6-1 Grizzlies victory over the Powell River Kings, sending Victoria to the best-of-seven Coastal Conference final against the Prince George Spruce Kings. Blueliner Berger and winger Westhaver were among a handful of Grizzlies who were 2-0 in Game 7s coming into Monday — over Alberni Valley last season and Powell River the year before — and they shifted into high gear the moment the puck was dropped. Berger, a North Vancouver native who’s headed to the NCAA and UConn next fall, wired a high wrister past Mitch Adamyk on a power play with six minutes left in the opening period. 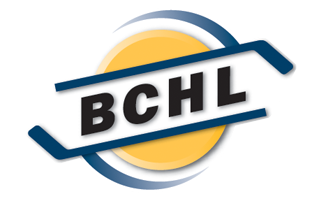 It was the 19-year-old’s 14th point of the playoffs, tops among BCHL defencemen. “When you look at veteran guys having performances like that in the biggest games, you feel proud as coach,” Grizzlies GM and head coach Craig Didmon said after his team bounced back from an emotional Game 6 loss on Saturday in Powell River. Victoria product Westhaver has caught fire in these playoffs. He fired home a rebound off a Kenny Johnson slapper and the Island Division regular-season champs took a 2-0 lead into the intermission. Westhaver wasn’t finished there. He tallied again in a third period dominated by the Grizzlies. Westhaver, the game’s first star, now has eight goals in 11 playoff games. The Grizzlies’ big line was also flying all night. 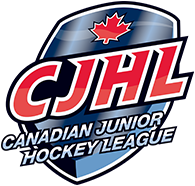 Didmon reunited Alex Newhook and Riley Hughes with fellow teenager Alex Campbell as Victoria got the news that assistant captain Ryan Nolan would miss the game after being handed a three-game suspension for an accumulation of hit-to-the-head penalties. Newhook, expected to go in the first round of June’s NHL draft, finished with a goal and an assist. New York Rangers draft pick Hughes had a goal and two assists. Campbell, likely to go in the mid-rounds of the NHL draft, had one assist. Grizzlies defenceman Nico Somerville rounded out the scoring with a late power-play marker. The only blemish on Grizzlies’ netminder Kurtis Chapman’s record was a Neal Samansky goal in the second period that bounced in off blueliner Johnson’s chest. The Grizzlies outshot the Kings 46-28. Game 1 between the Grizzlies and Spruce Kings is expected to go Friday night in Prince George.